Perth (Jandakot) City and Beaches, up to 3 passengers. Cruise down Perth's beautiful beaches then soar above Perth City, the Swan River and Fremantle. Total cost $250: So that is $125 EACH FOR 2 - or $84 EACH FOR 3. Departs from and returns back to Jandakot Airport (Perth). Perth (Jandakot) City and Beaches, 4 - 6 passengers. Best value ever! Fly along Perth's beautiful beaches and then take in the views above Perth City, the Swan River and Fremantle. Total cost $350: - That's $88 EACH FOR 4 - or $78 EACH FOR 5! From Jandakot Airport (Perth). Northern Tour: Rottnest, Metro Beaches and Perth, 1 to 3 passengers. Fremantle, then Rottnest Island. The 'Sunset Coast' city beaches, then Perth City itself and the Swan River. Total cost $450: - That's $225 EACH FOR 2 - That's $150 EACH FOR 3. 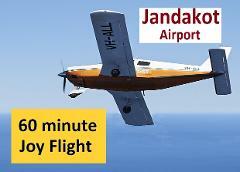 Departs from and returns back to Jandakot Airport (Perth). Northern Tour: Rottnest, Metro Beaches and Perth , 4 - 6 passengers. Fremantle, then Rottnest Island. The 'Sunset Coast' city beaches, then Perth City itself and the Swan River. Total cost $590: - That's $148 EACH FOR 4 - or $118 EACH FOR 5! 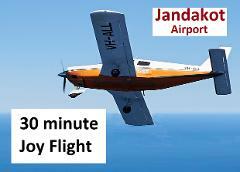 Departs from and returns back to Jandakot Airport (Perth). Southern Tour: Dawesville and Mandurah - 1 to 3 passengers. Penguin Island, Rockingham, down to Mandurah, Peel inlet and 'The Cut'. Then around Rottnest Island before returning back to Jandakot Airport (Perth). Total cost $500: - That's $250 EACH FOR 2 - That's $167 EACH FOR 3.